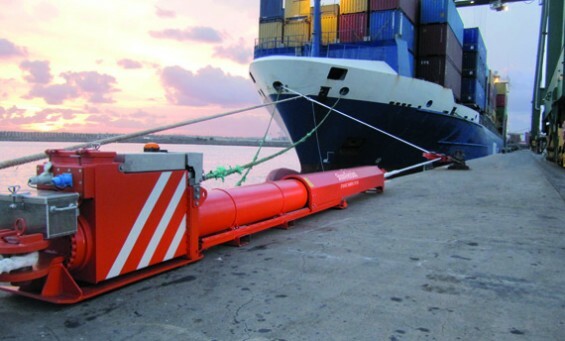 ShoreTension is a system which makes the mooring of sea vessels much safer. The ShoreTension system ensures, that even with strong winds or suction the ship stays in place. A power pack puts the cylinders at the correct tension just once and then uses the forces of the ropes to keep the vessel in place (Dyneema). Because of the stability, the loading and discharging can even take place if the weather conditions are bad, e.g. high waves or swell. 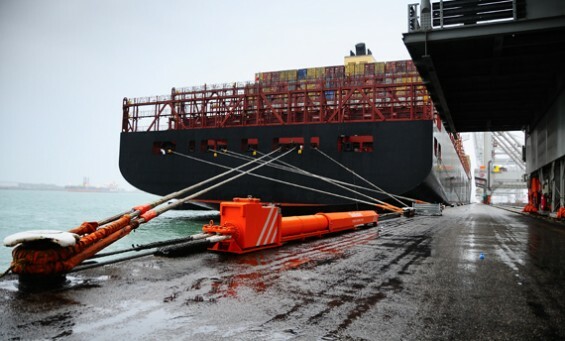 Since the ship will be able to leave the port sooner, this will result in considerable cost-savings.